Are you confident that your car loan application will be approved at one go? Will you be surprised if I say, it won’t? It is always a matter of concern whether your loan application will be approved or rejected. There can be cases, where you may have the least possibility of loan rejection, but you may still face it. You may commit some minute mistakes, which will ultimately lead you to this unfortunate. So, to avoid all those probabilities, you can learn ways to sidestep them. When your loan application gets rejected, the financial institutions usually specify the reasons behind the application rejection. Working on those lines and rectifying those mistakes, you can actually fix the situation once again. But, why to make own mistakes, when you can learn from others’ mistakes. Like any other type of loan, this is also true for a car loan application. It does not matter whether you are purchasing a new car or a used car, you can always take the support of financing from any bank or NBFC. But you can face these complications in both cases of a used or a new car loan. The most common reason for loan rejection is committing mistakes while filling the loan application form. These errors may increase if you are doing offline form fill as manual mistakes, overwriting, crossover, scrape writing may appear again and again. If you are filling wrong MyKad number, misspelt a name, or commit a typo error, then also your loan application may get rejected. One more reason for loan rejection can be applying for a loan above the specified limit of DTI. You must be careful of the debt-to-income or DTI ratio. This signifies you need to maintain a parity between debt and income. It is not enough to earn high, it is also important to focus on DTI ratio as lenders will check your DTI along with your income. If you have a low or medium credit score, your application may get rejected. If you have not maintained your credit history from which your experience of finance handling can be judged, then also your loan may get rejected. In case, you are unable to match with the requirement of the bank or NBFC, you may face rejection. Each financial institution has different eligibility criteria. 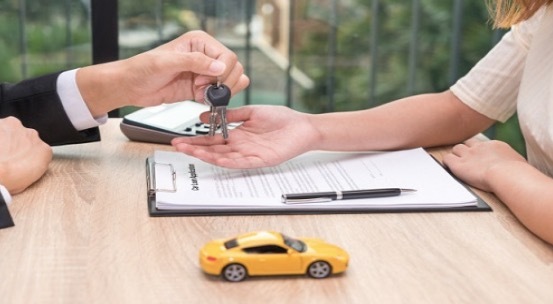 If your chosen lender has higher eligibility criteria and you are unable to fulfil them, then you may be denied for a car loan. This is one of the most important factors that lenders consider while approving or rejecting your car loan in India. If you do not have job stability or you have frequently switched your job or if you do not receive your income through direct deposit, your loan may be rejected. Choosing the wrong financial institution may result in loan rejection. Maybe you have gone with the craze and followed other people to apply for a car loan blindly. If you keep on applying for a car loan in a different financial institution just because your application has got rejected, your chances of loan rejection will further increase in this way. The act of multiple loan application is discouraged by any bank. Even if you are applying for a car loan, home loan and education loan at one time, then also you will have a chance of loan rejection. Wait for a certain time period if your loan has once got rejected, as this will hamper the credit score and increase the car loan interest rate in India. So, next time when you will approach a bank to apply for a new car or a used car loan, remember these valuable tips so that your loan gets approved at one chance without facing any hassle or trouble. Guest article written by: Jhelum is a blogger, who has an experience of writing in all verticals and has good command over SEO and designing as well. She specializes in automobile and finance related topics. She has a prominent existence and well participation on different social media platforms.